Donations to Friends+ now equal ticket sales! The generosity of our members makes it possible for the community to enjoy fine performances at modest prices. Every year we take our artists out into the community and provide music outreach. Last year we impacted the lives of over 800 students across Lincoln. With your generous donation, not only will you get to experience the wonderful music our season has to offer, but you’ll be able to make a positive difference in your musical community! And if you want to help Lincoln Friends of Chamber Music get through its first century, please make a bequest to LFCM. Call Gunter Hofmann at (402) 435-8946 to discuss the possibilities. 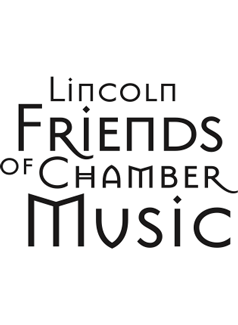 Lincoln Friends of Chamber Music is a 501(c)(3) corporation. Please enter the amount of your donation and your information in the following form. Once you enter your credit card information on this secure page and click or tap on the SUBMIT button, your credit card charge is processed, while the donation information goes to Lincoln Friends of Chamber Music.